Why Python Programming Language is very useful for Hackers? Programming is one of the most important skills of a hacker. When someone wants to become a hacker, he/she has to be a good programmer. But, what is the best programming language for hackers to begin with? Although, It is very important to have basic knowledge of every programming language still you have to master in a particular language. For that purpose, Python is the most popular programming language among hackers. Read: Why Programming is the Must Needed Skill For A Hacker? 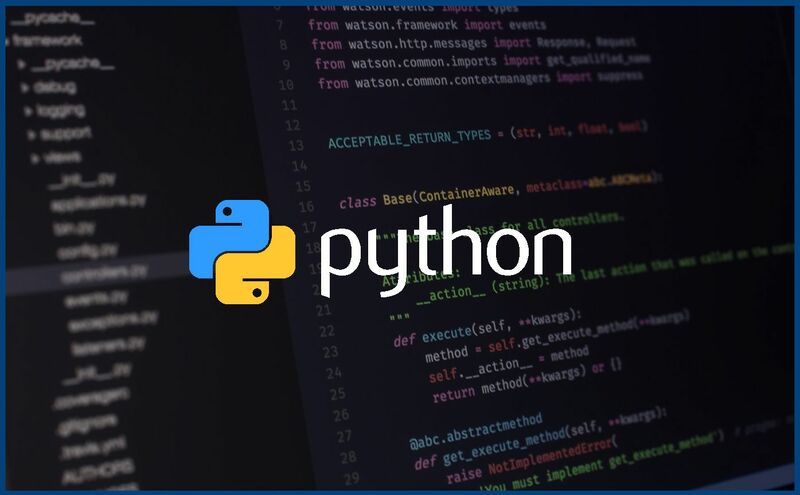 Why is Python Programming Language very useful for Hackers? When you start learning the core of hacking, Python is great. With a giant standard library and a packaging system that puts prebuilt tools and frameworks at your fingertips, it is often very easy to hack something into existence. Object oriented programming approach is the most popular approach for software development. It uses classes and objects to create models based on the real world environment. Object-oriented Programming makes it easy to maintain and modify existing code as new objects are created inheriting characteristics from existing ones. This cuts down the development time considerably and makes adjusting the program much simpler. Python programs take much less time to develop. Its programs are typically 3-5 times shorter than equivalent Java programs. This difference can be attributed to Python’s built-in high-level data types and its dynamic typing. For example, a Python programmer wastes no time declaring the types of arguments or variables. It supports a programming style that uses simple functions and variables without engaging in class definitions. Python programs follow simple English-like structure. Python programmer can finish in two months what two C++ programmers can’t complete in a year. Python is a general-purpose programming language as well as a scripting language. It can be used for everything that is done in Java. Python and Java interpret during runtime. It allows a good developer to play with hardware as well like server configuration, change server mode, control server behavior etc. Read: Why Do Hackers use LINUX? Python programming has many pre-built libraries that provide some powerful functionality. Python is a High-Level Language with 1,000 modules and much more are available in various other repositories. Python is at home on the web, unlike a low-level language like C. Frameworks like Django, Pyramid, and Flask gives the ability to create real web applications that have the same power as the sites we use every day. However, the arguments that you have written are not necessarily related to the hackers. Because, same reason every programmer uses Python. What is the best approach to study algorithm especially when i am dealing with P, NP, NP-complete class? Why is it worth to understand those notation O(logn^2)? Does it has any relation writing a function? How to start with hacking? What are the steps involved in hacking? Hello, Kumar, you can find your answer here. Very nice article keep it up!!! where i can learn python programming language in easy way.